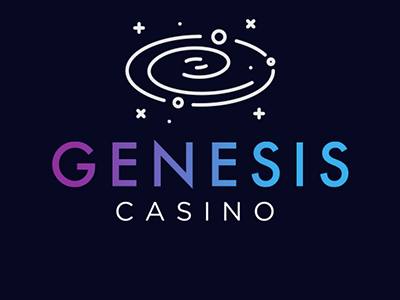 Make your first deposit on Genesis Casino and receive a bonus of 100$ and 300 Free Spins on Starburst. You can receive up to four bonuses until your 4th deposit,the bonuses will be given after your deposits. -At your first deposit you will receive a 100% to 100$ and 300 free spins on Starburst. -The bonus will be credited to players who created an account and made their first deposit on the site. -To be able to get this bonus you will have to deposit a minimum amount of 10$ in one instance for each bonus. -The player will only receive 4 bonuses unless the limit is reached. -The wagering requirement for the bonus to be withdrawn is 40 times before you can fully withdraw the winnings. -The deposits made with Skrill or Neteller will be able to get the first four bonuses. -The player can have only one bonus active at one time. -The minimum about you can deposit on the site is 10$ and the minimum amount you need to deposit in order to receive the free spins is 5$. -All the bonuses have a wagering requirement of 40 times in order to be subjected to your account please note that the free spins have the same wagering requirement as the normal bonus. -The maximum amount you can withdraw from the bonus is 100$. -The Bonuses are available for 14 days from the initial date,and if the requirement is not met until the end time the bonus will be removed from your bonus balance together with all your winnings. Slots: Beautiful bones, Castle Builder, Castle Builder II, Cool Buck, Dragons Myth, Forsaken Kingdom, Peek-a-Boo, Scrooge, Stardust, Untamed Bengal Tiger, Untamed Crowned Eagle, Untamed Giant Panda, Untamed Wolf Pack, Blood suckers, Dead or Alive, Devil’s Delight™, Eggomatic, Jack Hammer 2, Kings of Chicago, Mega Joker, Robin Hood, The Wish Master, Tomb Raider, Zombies, Eye of The Kraken, Tower Quest, Pearls of India, Tomb Raider 2, Big Bang, Jackpot 6000, Super nudge 6000, Vampire: The Masquerade – Las Vegas. -Only wagers made from your real money balance will contribute to the bonus’ wagering requirement. -The bonus codes can only be used once. -Players from the following countries are not permitted to receive the first deposit bonus, any deposit bonuses or free spins unless otherwise stated: Lithuania, Belarus, Latvia, Czech Republic, China, Bulgaria, Poland, Bosnia-Herzegovina, Croatia, Greece, Republic of Moldova, Malaysia, Georgia, Philippines, Kazakhstan, Australia, Slovenia, Vietnam, Thailand, Indonesia, Nigeria, Bangladesh, Mongolia, Belgium and Ukraine. Visa,Visa Electron,Mastercard,Maestro,Skrill,Neteller,Entropay: 10$ Minimum Deposit,5000$ Maximum Deposit. ecoPayz: 10$ Minimum Deposit,1000$ Maximum Deposit. Paysafecard: 10$ Minimum Deposit,300$ Maximum Deposit. Visa,Visa Electro,Mastercard,Skrill,Neteller,ecoPayz,Entropay,Bank: 10$ Minimum Withdrawal, 2300$ Maximum Withdrawal. 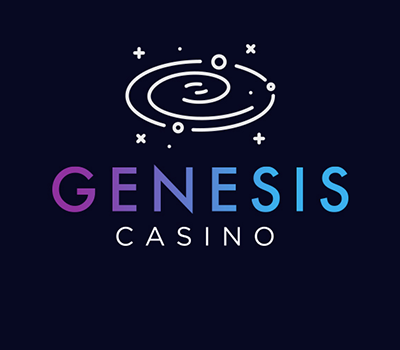 Genesis Casino is a casino from Malta who tries it’s best to bring to best experience to all the players on the site will a variaty of over 1300 games to choose from. They have a 24/7 customer support which can be contacted by Email,Phone or Live Chat. To reffer more about the site’s rules and terms,please read the Terms and Conditions.